Nearly four years, and that's a long time for a young artist. It's a long time for any performer who doesn't already have a long-established fan base and back catalog. It's a time during which other new stars can appear, appeal, burn bright and fade away. Young fans become grown-ups-with-kids in that time. Where had he gone? Just the occasional tweet promising new music... and then, a tour announcement (already sold out? ), several festivals, a few rehearsal dates... and a new EP. Only four songs... but it is new Hozier music. He's back. He never went away. Leaning more to soul, more soul, and folk than blues, the EP is a tantalizing tease, a reminder that we are still waiting for a new album; it's a promise of more to come, and it's a hope that there will not be three more years to wait. Take a listen to Nina Cried Power here. Not only soul... it's protest, and activism, and human power, and the legacy of so many great singers who stood up for what they believed in. Every artist has their own creative cycle, some longer than others. And just because someone is a musician, a performer, it doesn't mean that the rest of their life stops.Whatever the reason for long times between releases, it's all worthwhile. Just ask any Tool fan. 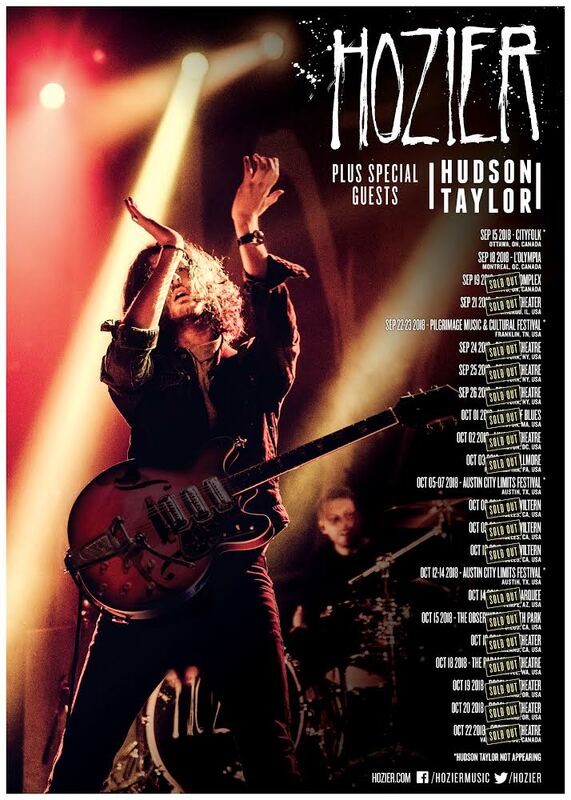 For more information, check Hozier's website or Facebook. Tour dates--if you can manage to get hold of a ticket--are here. I assure you, you're in for a treat.